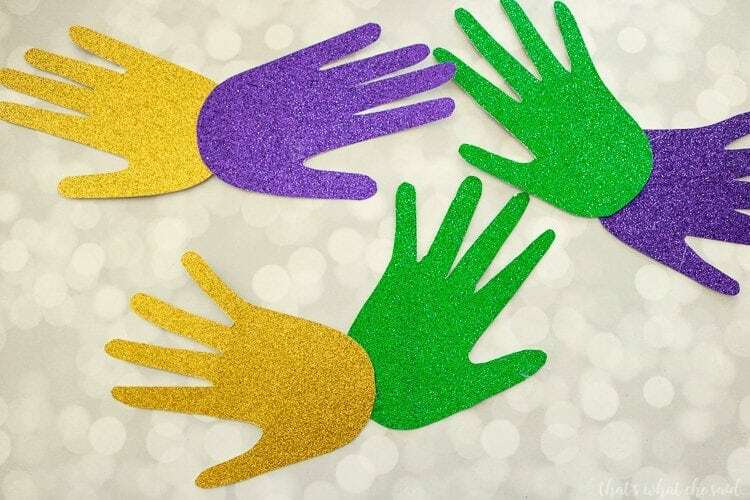 Let the good times roll this Mardi Gras with these awesome Handprint Mardi Gras Masks! 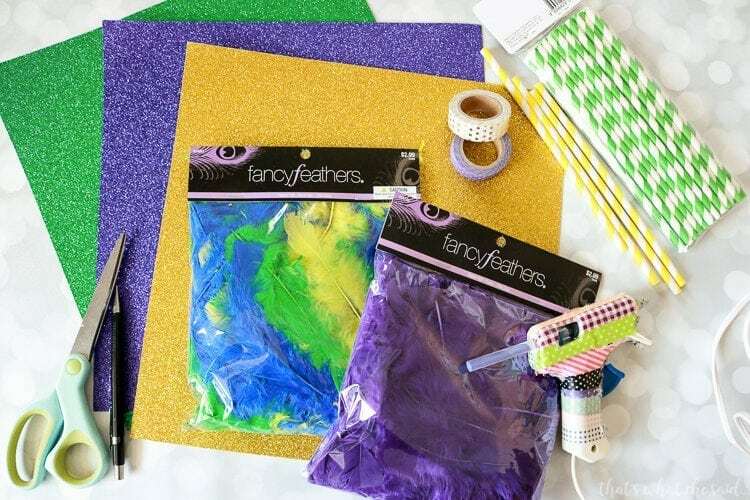 Fun for the whole family and so easy and simple to make with some basic crafting supplies and some hands to trace! Here in St. Louis we have a huge Mardi Gras celebration! In fact we celebrate all month long! Dog parades, people parades (more than 1), events. It’s awesome! 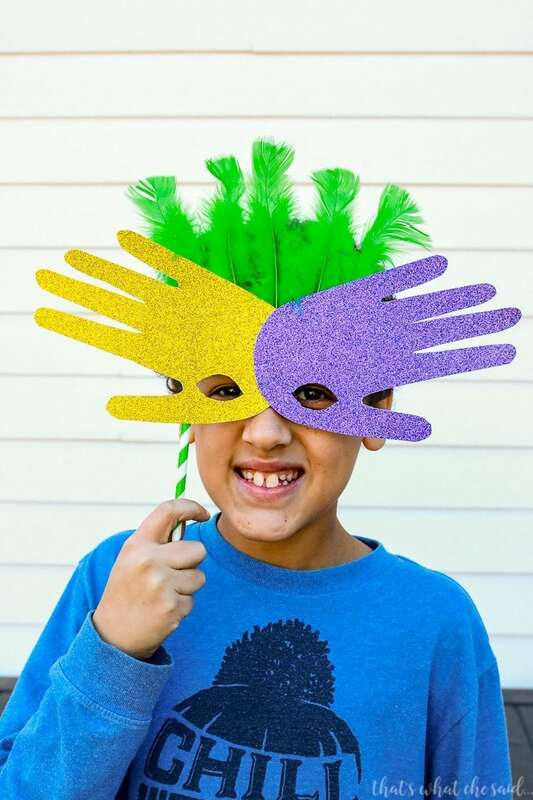 These Handprint Mardi Gras Masks are a great family friendly mardi gras project! 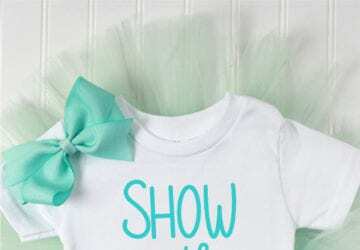 These are perfect for parades and parties! 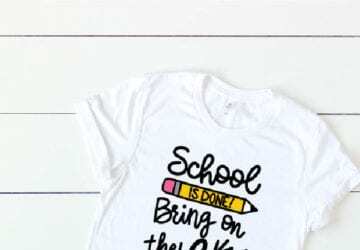 I have included some links to the supplies for your convenience! 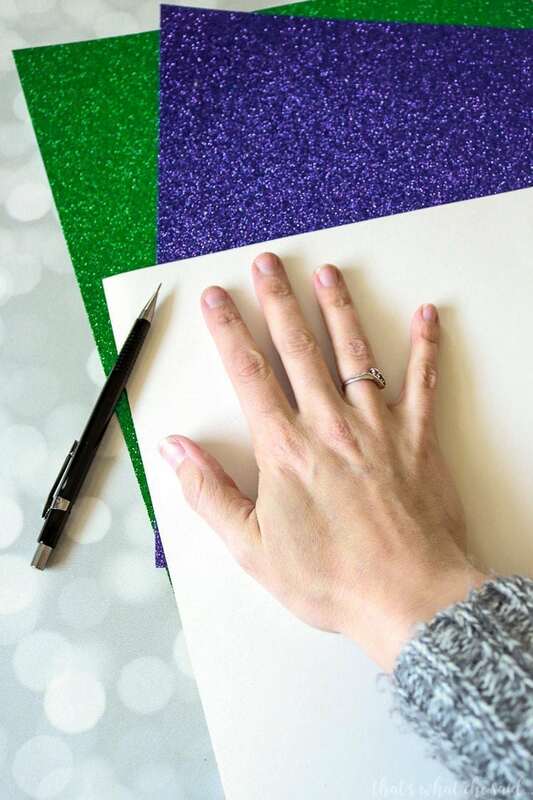 Start out by tracing your hand on the back of a piece of card stock. 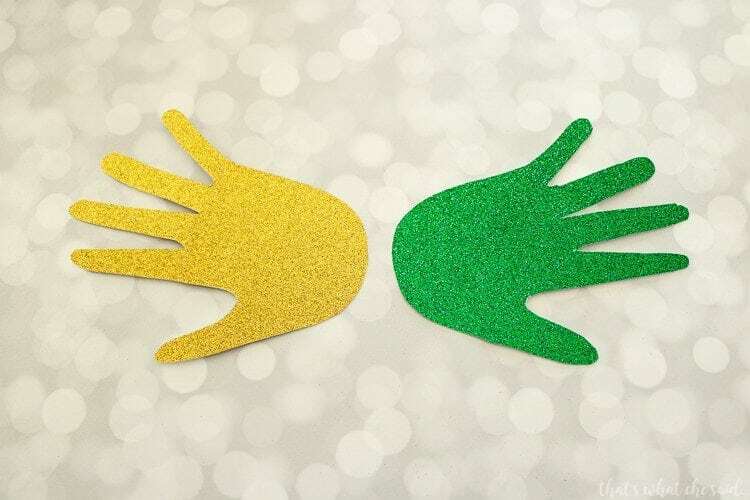 When tracing your second hand make sure you trace either the other hand or the reverse of the first so that you get hand prints facing opposite directions! 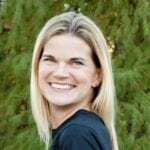 Cut them out with scissors! Next you will glue them together, slightly overlapping so that the thumbs are on the bottom and angled to create a little nook for your nose on the mask. Carefully cut out your eye holes! I used a 3 inch center-to-center spacing. 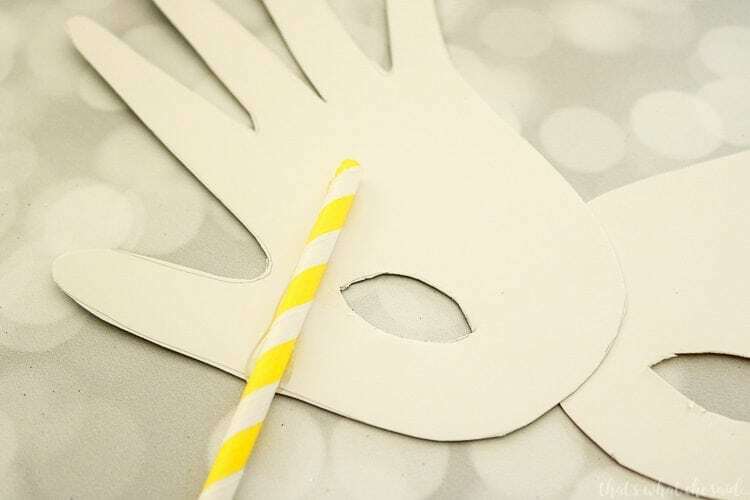 For the stick or handle of the mask, I simply hot glued a paper straw on the back and it works perfectly! 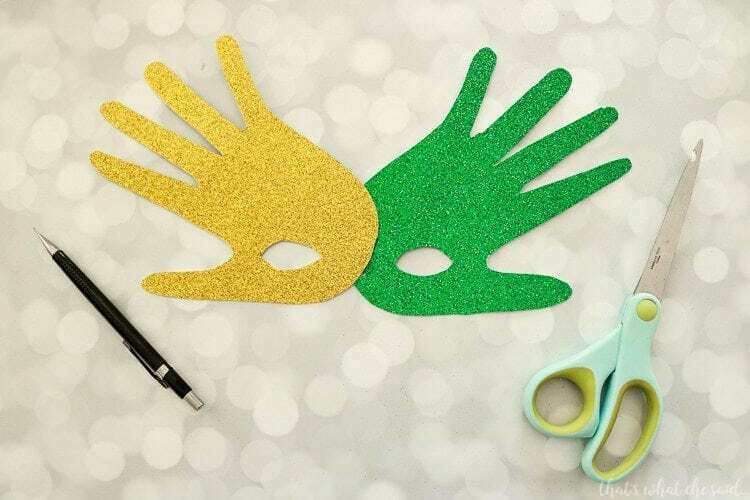 To finish off the mask, you can add feathers, jewels, glitter or maybe even sequin ribbon. Whatever you want to make your masks fantastic! 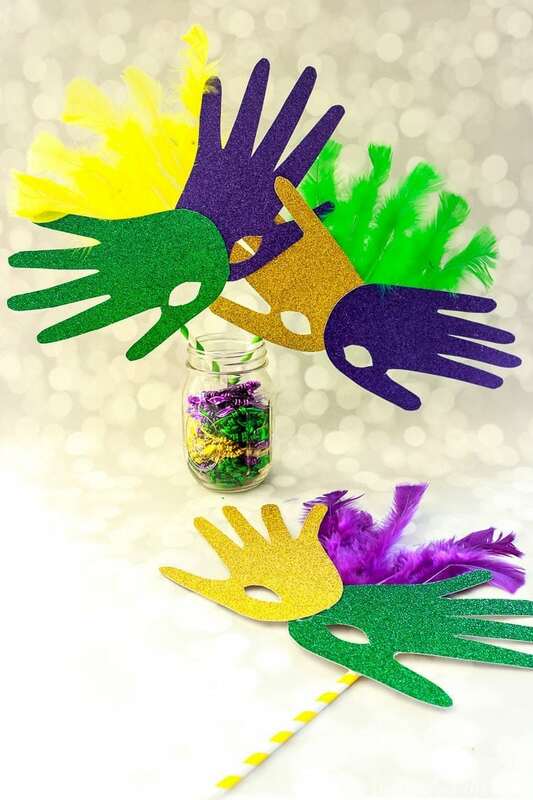 Then just add some cute little faces and you have yourself some fun Handprint Mardi Gras Masks! IF YOU LIKE THIS, DON’T FORGET TO PIN IT!